In a hosted environment, this is not ideal, as admin users for each organisation will be able to see users from all other hosted customers. With CRM 4, there was a method of restricting users to only browse users in a particular business unit (see here). 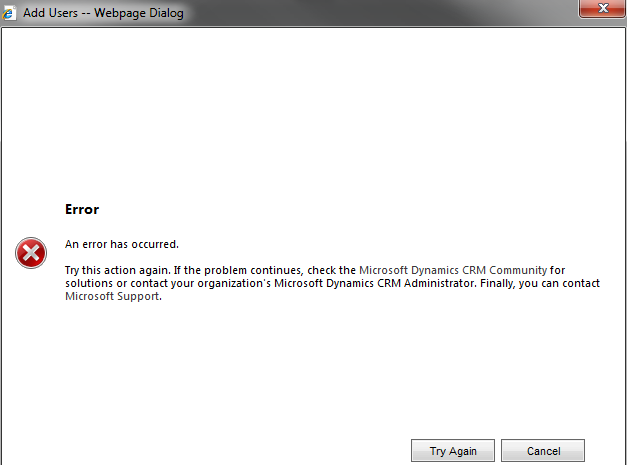 Unfortunately, this tool does not work with CRM 2011. By looking at an old CRM 4 instance, I had a hunt around to see which settings were actually changed by the config tool to see if they would still work in CRM 2011. Thankfully, I found where to add the settings and it still appears to work in CRM 2011. 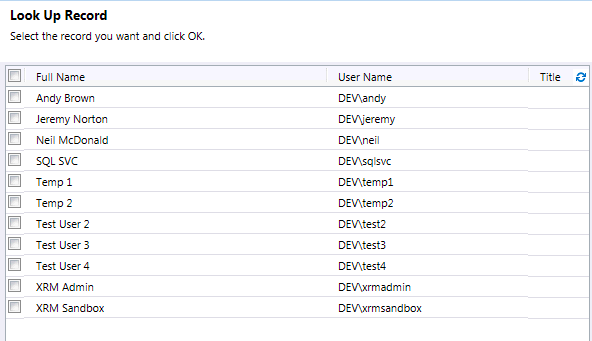 I’ve been having an issue when trying to add multiple users on the CRM 2011 release candidate. I could add individual users fine, but the multiple users wizard showed the below error after selecting the license type and authentication provider. Exception information: Exception type: ActiveDirectoryObjectNotFoundException Exception message: The specified domain does not exist or cannot be contacted. To get around it, I made the change directly in the organisation database. The domain login name is stored in the ‘DomainName’ column of the ‘SystemUserBase’ table, so I just edited the data within SQL management studio.